Former Surveyor-General of the Federation Prof. Peter Nwilo has urged the Lagos State Government to stop construction and all sand filling works around Lagoon and waterfronts. Nwilo gave the advice in an interview with the Newsmen in Lagos on Monday. He was reacting to the massive flooding in the state, especially around Lekki, Victoria Island, Ajah, Ikoyi and Lagos Island, following torrential rainfall on Saturday. According to him, this is the first time the Lagos Lagoon water level is rising. “’I do not think the water level of the Lagoon has risen like this before in the state. “Look around you, Lagos Lagoon and all waterfronts in the state are being sand-filled for development of estates. 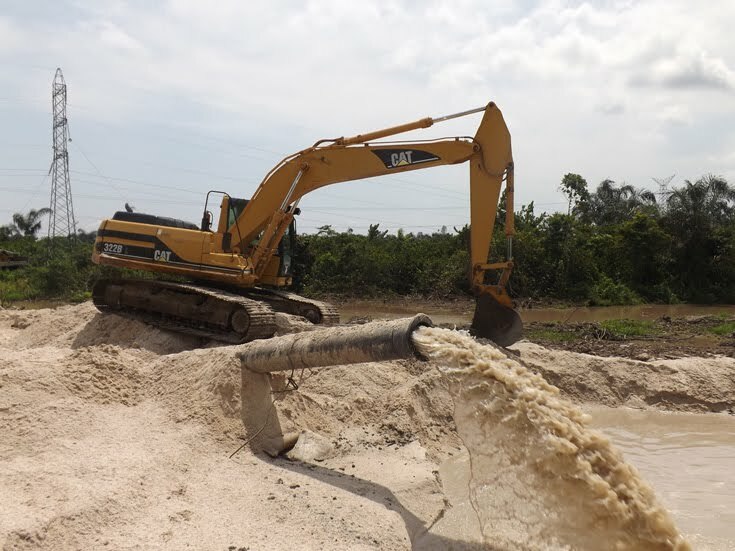 “But for now, sand filing of Lagos Lagoon and waterfronts should stop,’’ Nwilo, also a lecturer at the Department of Surveying and Informatics, University of Lagos said. Also speaking, Prof. Sylvester Egwu, an environmentalist, also expressed concern about the happenings in Ajah, Lekki axis and its environs. “We cannot even come out of our houses, that is those of us that water has not overtaken our entire houses. “Besides being climate change situation, all drainage systems in the area are blocked, majority of them by illegal structures. “We are only praying to God not to allow the ocean to swallow us up and become foods to our aquatic friends out there,’’ he said. Egwu called for the removal of all the illegal structures on drainage right-of-way and make the gutters flow by removing the refuse blocking the free flow of water. “Those areas are to serve as buffer zones for excess water from the Ocean, Lagoon, seas and rivers. “Whenever non- governmental organisations on environment, foundations and activists demand for EIAs on major projects, they become enemies of government. “Wetlands are pooling areas for water. We build on flood plain areas and complain when our houses are flooded,’’ he said. Imvebore said that Lagos state needed strategic environment plans on how to protect its wetlands and should not joke with EIA.